Annoyed when you fill up an SD card? Lexar now offers an SD card with the capacity of a small external hard drive. On Wednesday, January 9, during CES 2019 Lexar unveiled the 1 TB 633x SDXC UHS-I card, cramming a terabyte of storage into a small form factor. Lexar says the 1 TB card is designed for DSLRs, HD camcorders and 3D cameras, supporting still photos, 1080p video, 3D, and 4K video. The UHS-I Class 10 card isn’t Lexar’s fastest but offers read speeds up to 95 MB/s and 70 MB/s write speeds, which is faster than some of the other write speeds in the same series. Lexar says the card also supports high-speed transfers from the card to a computer. Like other Lexar cards, the company says the new 1 TB card is put through extensive testing for performance, quality, compatibility, and reliability. The capacity of the new card should allow creatives to continue shooting without card swaps even with larger, high-resolution files. But is there such a thing as an SD card that is too big? The high capacity of the card pushes the price up — the card is available now for about $ 500. The card, however, does come with a limited lifetime warranty. 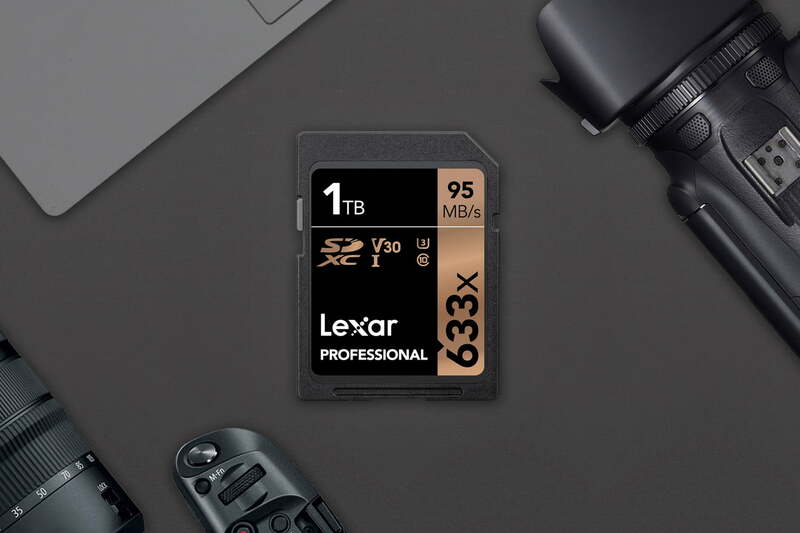 The 1 TB card was announced during CES 2019 and joins Lexar’s other 633x SD cards. With the latest addition, the series now includes capacities at 16GB, 32GB, 64GB, 128GB, 256GB, 512GB, and 1TB. Lexar was not the only company announcing a terabyte of storage that can fit inside a camera; ProgradeDigital also introduced a 1 TB CFexpress card with a 1,4000 MB/s transfer rate. The CFexpress card doesn’t yet have a price or release date.